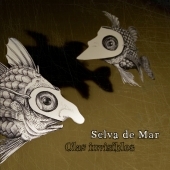 The second album from cello-hang duo Selva de Mar. Recorded live in a the cathedral San Marti on the Costa Brava in Spain, this amazing album features guest vocal performances from Swedish singer Ewa Wikstrom and African artist Mû. A journey through different continents, with an acoustic purity that only the ancient stone walls of a cathedral could lend.